Pileje Dermobiane is a food supplement in particular based on cysteine, taurine and silica. Cysteine ​​is the amino acid most present in keratin, the main component of hair and nails. As for silica, it helps to strengthen hair and nails. Dietary supplement taken in addition to a varied and balanced diet and a healthy lifestyle. 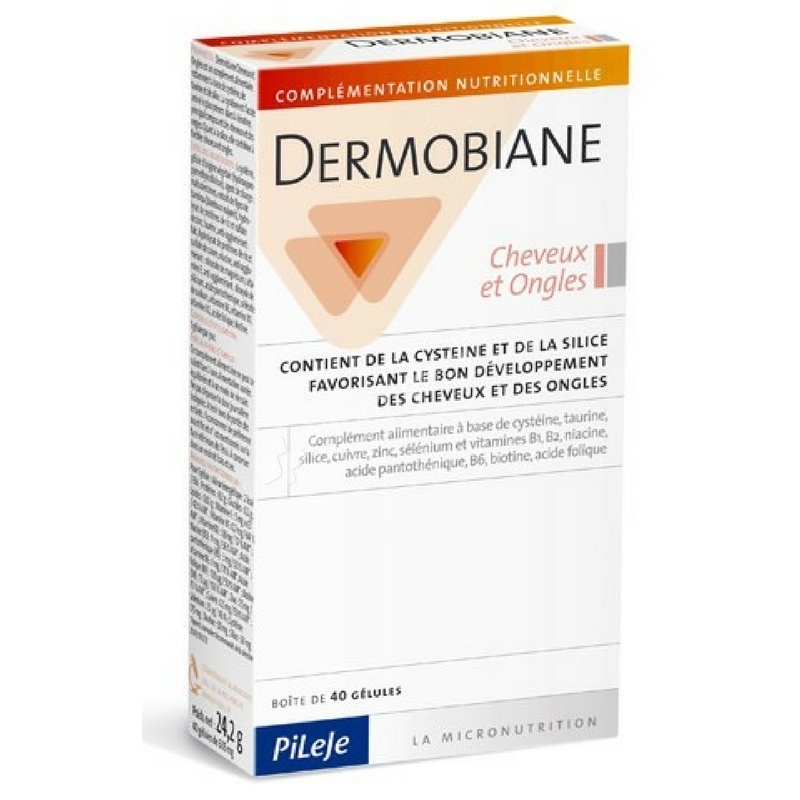 Dermobiane laboratory PiLeJe may be recommended to strengthen key functions of the dermis and skin appendages (hair & nails). Cysteine, an amino suffering present in the keratin which is the main component of hair and nails acid. Taurine to improve the bioavailability of cysteine. Silica, to enhance hair strength and nails and a plurality of micronutrients (vitamins B, zinc, copper, selenium). L-Cysteine ​​capsules of plant origin, bulking agent: maltodextrins, Bambusa vulgaris extract bamboo (itges), taurine, hydrolysed rice protein, minerals (zinc sulfate, copper sulfate, sodium selenite) vitamins (E, B1, B2, niacin, pantothenic acid, vitamin B6, folic acid, biotin), anti-caking agents: talc, magnesium stearate, hydrated silica.